Olives are awesome! They’re great on burrito bowls, added to sauces, and much more. 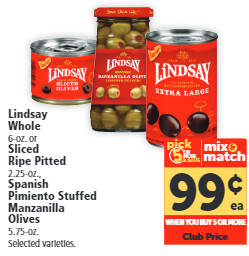 Head over to Safeway through February 12th and pick up 2 Lindsay Olives on sale for $0.99 each when you participate in the Pick 5 (or More) & Save sale. Then use the $1/2 printable coupon at the register. 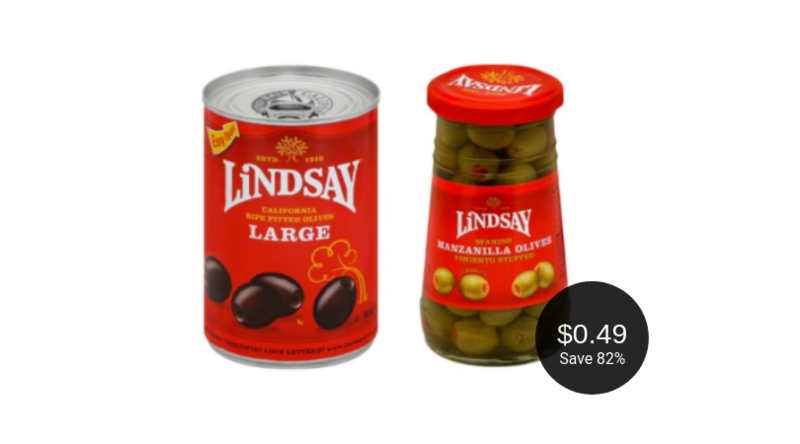 You’ll pay as low as $0.49 after the deal – save up to 82%!